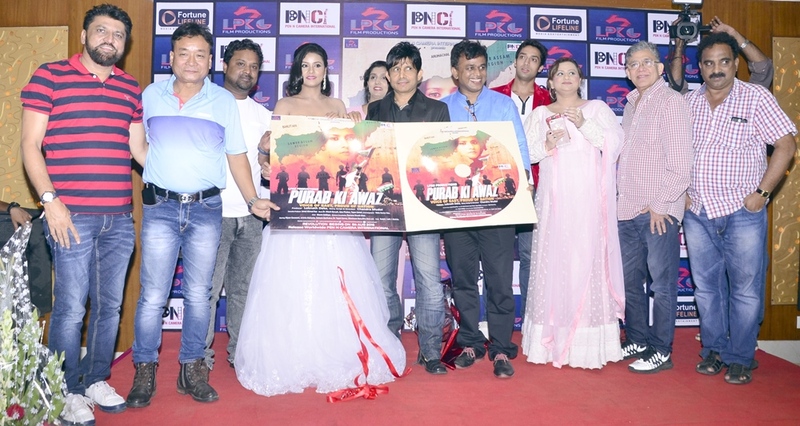 “PURAB KI AAWAZ”, First look of a recent Biopic of a Female freedom fighter from Northeast was unveiled by Actor-Producer Kamaal Rashid Khan (KRK) on Friday 20th May, at Carnival Cinema, Oshiwara. The film is set in 1942 with the narrative and message of today’s context of freedom. Film is being released worldwide by leading distributor Mehmood Ali, Pen N Camera International on 5th August 2016. Hindi film “Purab Ki Awaj” is made on the life of India’s female freedom fighter Birangana Kanaklata, a martyr of Indian freedom struggle in 1942, under the banner of LPKG Film Production. Kanaklata had embraced martyrdom at the tender age of 16 years on 20th Sept 1942 for the love of her country. Indian freedom fighters like Shahid Bhagat Singh, Chandra Shekhar Azad, Mangal Pandey and others are well known and popular in India as well as globally. The film is a brilliant presentation of the fearless and daring freedom fighter of Assam, Birangana Kanaklata, who had boldly faced the bullets of the police during the freedom struggle of India in 1942 and laid down her life for the country. LPKG Films Production had made an honest effort to make everyone aware about this brave heart from Assam by narration of her story in this movie. Film is produced by Loknath Deka, written by Chandra Mudoi, ex-producer Jamal Ahmad Rao, Music by Dr.Hitesh Boruah, Ajay Phukan & Tapan Kakati, and choreography by Naba Kumar Das. Starring Nipon Goswami, Urmila Mahanta, Debasis Barthakur, Dr. Tapan Sharma, Monimara Bora, Rina Bora and many more. LPKG Films Production has joint hand with biggest distribution company PEN n Camera International in Mumbai. 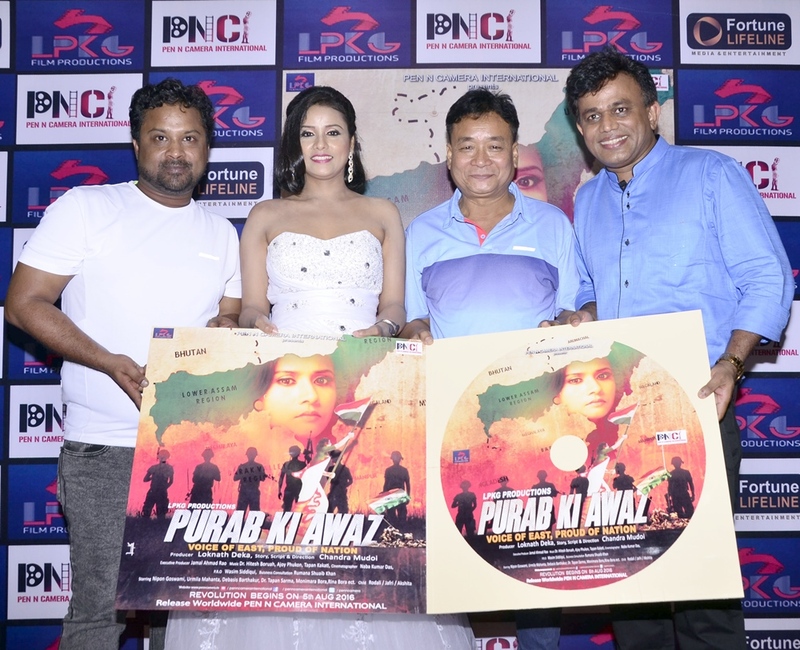 Mehmood Ali, MD – Pen n Camera International is releasing the film “Purab ki Awaz” in large-scale worldwide more than 1000 screens, multiplexes as well as single screen theaters. Film will be released on 5th of August 2016.
Who shall Collect More in China PM Modi or PK ? A FEW THOUGHTS ABOUT BRINGINGING ABOUT ACCOUTABILTY, GOOD GOVERNANCE, QUICK JUSTICE TO THE HONEST OFFICERS, SAVING PUBLIC FUNDS & REDUCING CASES IN VARIOUS COURTS & CAT.